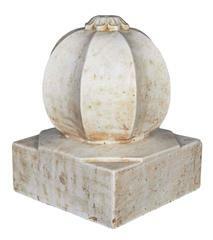 A large carved white marble carpet weight from India in a Classic orb style, circa 1920. Also very attractive as patio accessories, for stairs or verandas. Two available. 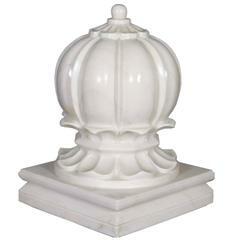 A large carved white marble carpet weight from India in a Classic orb style. 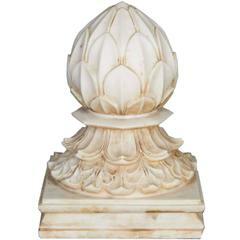 A large carved white marble carpet weight from India in a Classic lotus blossom style. 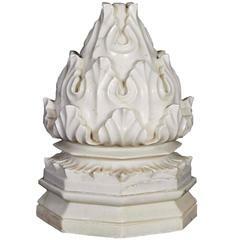 A large carved white marble carpet weight from India, with a traditional flame carving. For the table, shelf or floor. An exceptionally large bronze crane Japanese, Taisho to Showa Period (1920s-1930s).